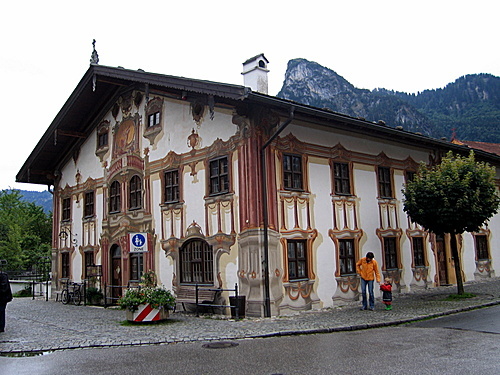 The Pilatus House in the heart of Oberammergau is the center for arts and crafts. It is decorated with numerous Lüftlmalereien, which was created in 1784 by the Oberammergau Lüftlmaler Franz Seraph Zwinck, including on the garden side of the house, the condemnation of Jesus by Pilate. This same scene owes the house its name.